Jesus, you are my source of strength! I am weak, but my faith in your strength is strong. I may wonder why I become weak or why difficulties happen but I’ll never wonder about the depth of your love for me. I rejoice in my weaknesses because through them I’ve come to know you. Jesus, you are my Lifeline! Without you I am but a body with a heartbeat, just a little higher than an animal. But with you I am a valued child of God. Because of you Satan is jealous and seeks to take me away from you. But I am not afraid because I know you are my Lifeline, my connection with God the Father. Jesus, you are my eyes! I need to see with spiritual eyes because I need to see into the hearts of people to see their pain, to see their weaknesses. I need to see the path upon which I can walk that enables me to witness to them your love, your strength, and your compassion. Jesus, you are my hands! I need to see life from the cross. I need to look at my hands and see that they are the hands of a servant giving his life so others may live. I need to look at my hands and feel your pain and in some small way become apart of the Father’s eternal plan. Jesus, I need your heart! I need your heart so that I may center every waking breath proclaiming your life, your breath, your death and resurrection to those whose hearts are of stone. I need your heart because it is the center of your compassion and the center where forgiveness flows freely. 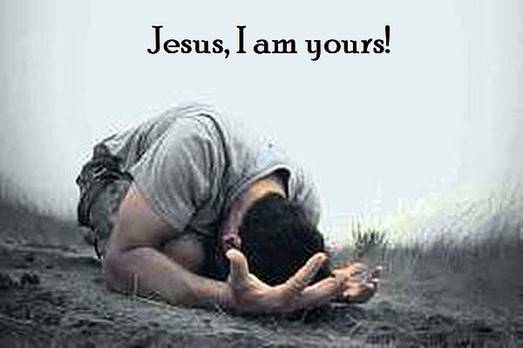 Jesus, you are my Home! When it’s raining and cold I can come in and get warmed and dried by the heat from your heart. When I am hungry I can enter your dining room and feast on the best heaven. When sin has done it dirty work and turned me filthy-dirty I can go in your laundry room and be cleansed by your sacrificial blood. When I am out of breath from struggling against overwhelming odds I can walk into your chapel and feel the gentle life-giving breath of the Holy Spirt. Note: Should you want to go back and review this Glory Seed or if you would like to subscribe so you can receive them in your email you can do so by clicking on this link: http://www.gloryseeddevotional.org.